Thanksgiving, more than any other holiday, revolves around food. 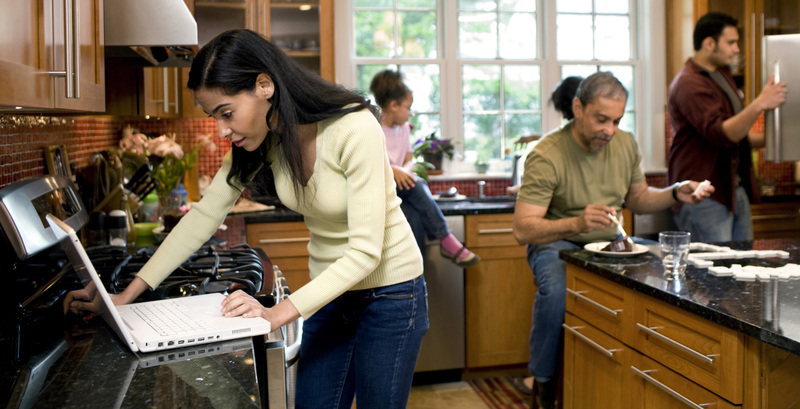 In many cases, inexperienced cooks take on the task of cooking the turkey, or experienced cooks become distracted by lots of company and “help” in the kitchen. According to the National Fire Protection Association (NFPA), three times as many home cooking fires occur on Thanksgiving as on a typical day. NFPA’s latest cooking estimates show that there were 1,550 cooking fires on Thanksgiving in 2013, reflecting a 230% increase over the daily average. 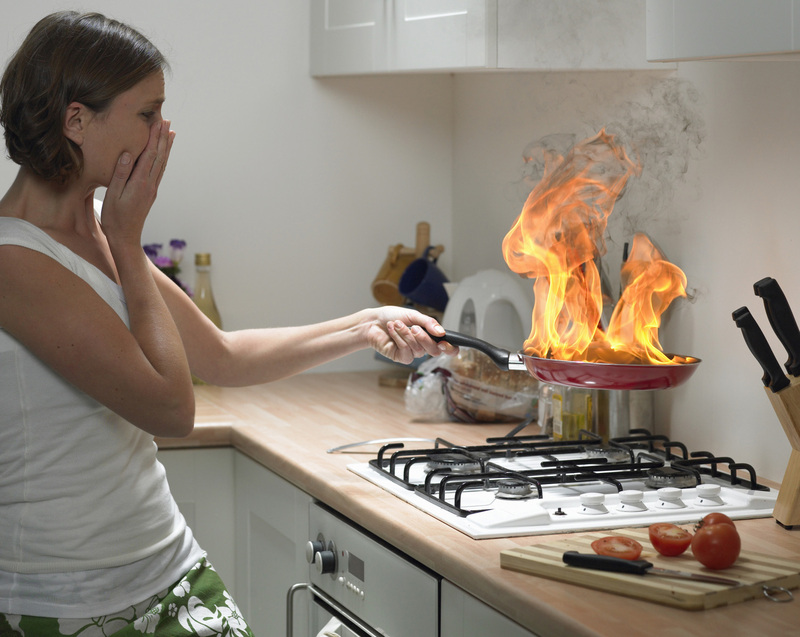 Unattended cooking is the leading cause of home cooking fires. “A little added awareness about potential fire hazards and taking a few basic precautions in the kitchen can go a long way toward keeping your Thanksgiving fire-free,” Lorraine Carli, NFPA’s vice president of Outreach and Advocacy said. An large insurance carrier concurs with the NFPA’s assessment of how dangerous holiday meals can be. In November and December of 2014, one large insurance carrier received an average of 18 claims daily related to cooking fires. That number nearly doubled on Thanksgiving and Christmas Day. Although claims associated with holiday cooking fires have not increased since 2013, damage to property and risk of injury remains. Remain in the kitchen while cooking, and keep a close eye any food that you’re frying, grilling or broiling. 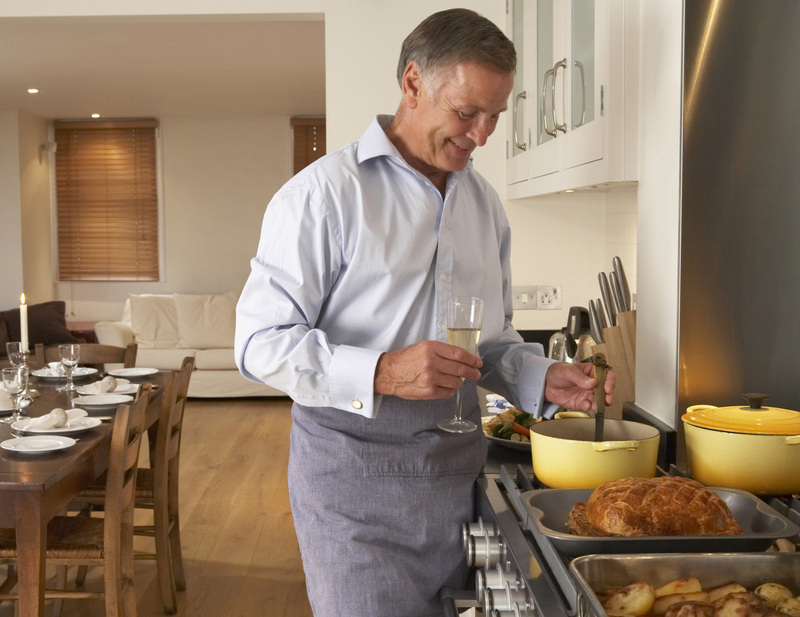 Try not to get too distracted by your guests, especially other “cooks” who want to pitch in. In advance, plan a list of tasks that guests can help with — such as slicing bread or filling glasses — so you won’t have to think about what they can do that’s not in your way. Regularly check on food that’s simmering, baking or roasting, and use a timer. You should also turn off the stove when leaving the kitchen, even for a short period of time. Consider having a “child-free zone” of at least 3 feet around the stove and areas where hot food or drink is prepared or carried. 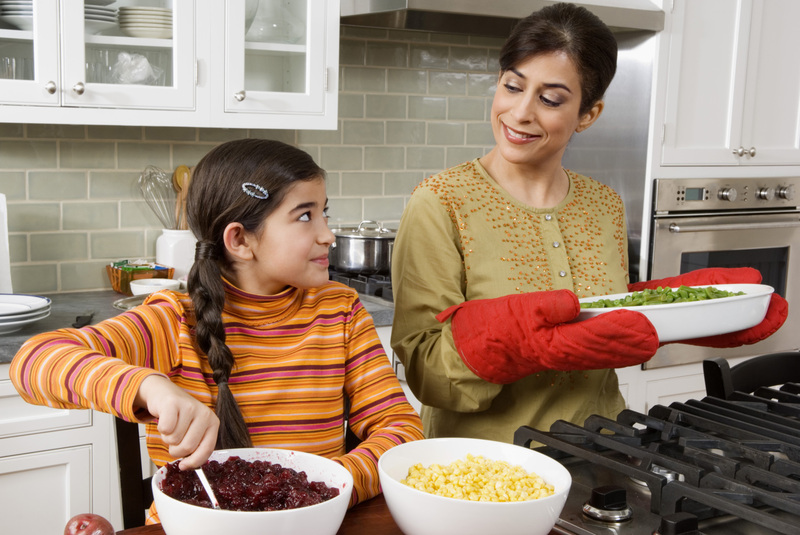 If children want to help you, they can set the table or put out cold foods. Remember to keep pets out of the kitchen when cooking for the holidays. You can trip over them or they can knock a pan off the stove, starting a fire. 2. Keep fabrics away from the cooking area. Keep things that can catch on fire such as fabric oven mitts, wooden utensils, food packaging, towels and curtains away from the cooking area. Don’t forget all those old family recipes on cards or scraps of paper. Also pay attention to what you’re wearing while cooking. Scarves and long sleeves can catch fire when you’re reaching across pans or burners. Don’t forget to tie back long hair. 3. Don’t mix drinking and cooking. Of course it OK to have a holiday drink; but when you’ve been celebrating a little too much or you’ve been up late preparing for the holidays, you may get careless. Be alert when cooking. Don’t use the stovetop if you’re sleepy or after consuming alcohol. Unplug small appliances that aren’t in use. Not only will you save the energy, but you will also avoid the potential dangers if they were to be turned on accidentally. 4. Know how to put out small cooking fires. A large Insurance carrier notes that oil — from extra-virgin olive oil to coconut oil — is a key item found in the majority of today’s kitchens, and it often splatters onto the cooking surface. Keep your cooking area clean to prevent grease buildup. Before you cook, you should know how to address any small kitchen fire before it becomes a much larger one. For a small grease cooking fire on the stovetop, smother the flames by sliding a lid over the pan and turning off the burner. Leave the pan covered until it is completely cooled. If you’re cooking a turkey using a disposable aluminum pan, consider doubling up and using two pans to avoid a puncture or put the disposable pan on a sturdy cookie sheet, as dripping turkey juices can cause an oven fire. For an oven fire, turn off the heat and keep the door closed. Keep a small fire extinguisher in the kitchen, UL listed and rated for grease and electrical fires. Be sure you know how to use the fire extinguisher correctly. For any other kind of fire, just get out and call 9-1-1 from a safe place. 5. Leave turkey frying to experts. 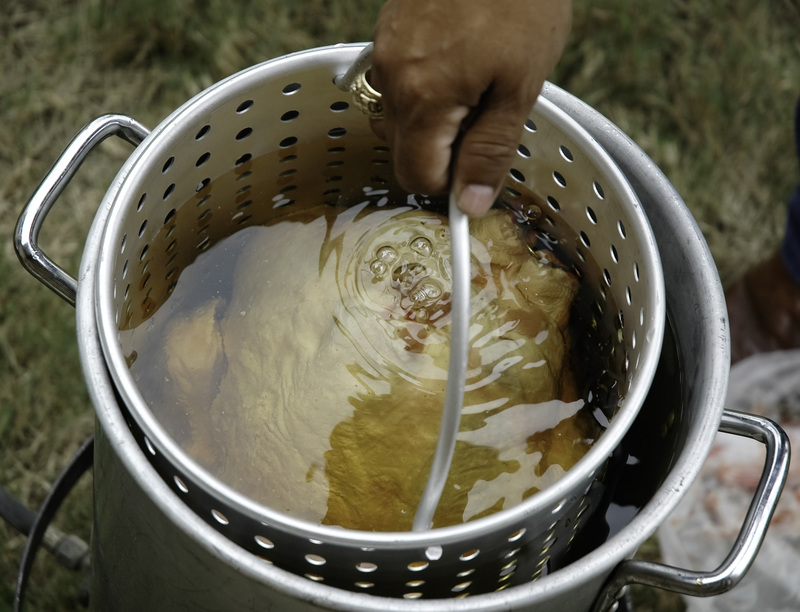 NFPA discourages the use of turkey fryers, a popular cooking method on Thanksgiving. The use of turkey fryers can lead to devastating burns and other injuries, and the destruction of property because of the large amount and high temperature of oil used. NFPA urges those who prefer fried turkey to considering using a new type of oil-less turkey fryer. Better yet, look for grocery stores, specialty food retailers and restaurants that sell deep-fried turkeys. If you still are committed to frying the turkey, follow some basic precautions. Start by only cooking outdoors, not in your garage, and keeping that small fire extinguisher — rated for grease fires — handy. Make sure your turkey is completely thawed before placing it in the fryer, because a partially thawed turkey will cause the oil to splatter causing serious burns. The fryers use a lot of oil, about five gallons. Considering the size and weight of the turkey, be extremely cautious when placing and removing the turkey from the fryer to be sure it’s not dropped back into the fryer, splattering the oil on you or anyone standing around watching or helping. 6. Keep smoke alarms connected while cooking. If you have kitchen air vents, use them to disperse any smoke from cooking, or open windows. It might be a little chilly, but it will help keep your kitchen clear. NFPA reminds us that smoke alarms can save lives. Make sure your smoke alarms are installed and working. 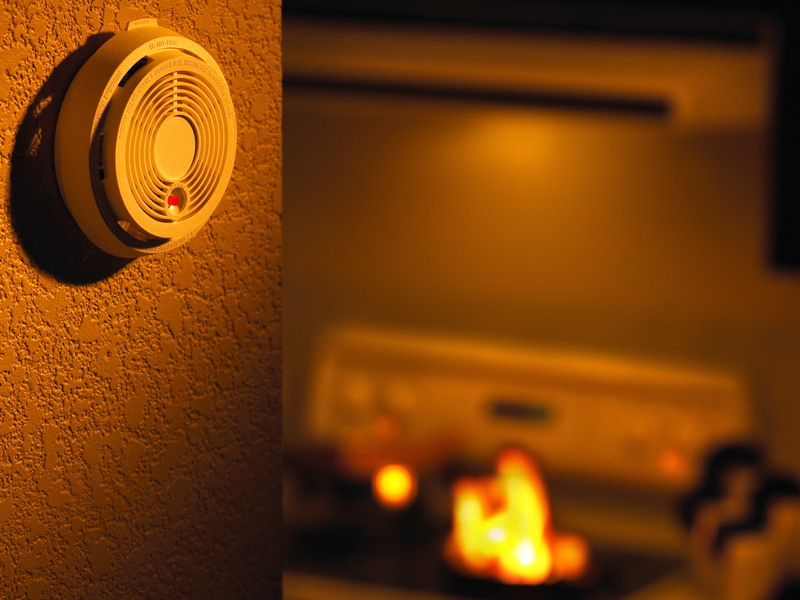 A large insurance carrier notes that a smoke detector with a pause button is best in case of false alarms. Neighboring rooms to the kitchen should also have smoke detectors. If your smoke detector is still in the box, at least put the batteries in it and keep it in the kitchen. The smoke detector can sound an alarm even when not mounted on the ceiling. Have a Safe and Happy Thanksgiving and save a slice of Pumpkin pie for me!